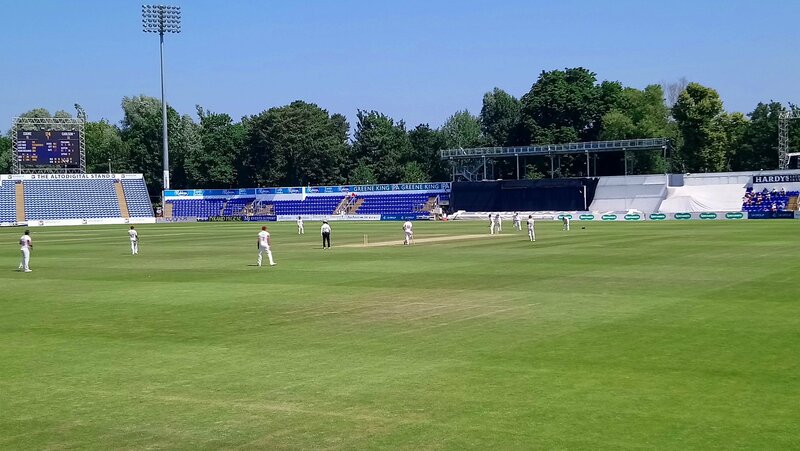 This entry was posted on June 28, 2018 at 2:23 pm and is filed under Cricket with tags Glamorgan, Northamptonshire, Sophia Gardens. You can follow any responses to this entry through the RSS 2.0 feed. You can leave a response, or trackback from your own site. I was quite happy when Brett Hutton left Notts as we were spared his irritating grunting as he bowls. I hope this did not detract from your enjoyment of the game. Glamorgan aren’t actually bottom of Divison 2 yet, Gloucs are behind them, but with a game in hand, and they are the one team we have actually beaten, in that first game of the season full of faklse optimism. And a glance at the table reveals, rather surprisingly, that there are 5 teams with fewer batting points than Glamorgan and 6 teams with fewer bowling points. Basically the bottom 6 or so teams are all a bit poor. Yes. Fortunately there is no relegation, though if there were perhaps clubs like Glamorgan would put a bit more effort into developing teams for the County Championship.